I'm back with another makeover. 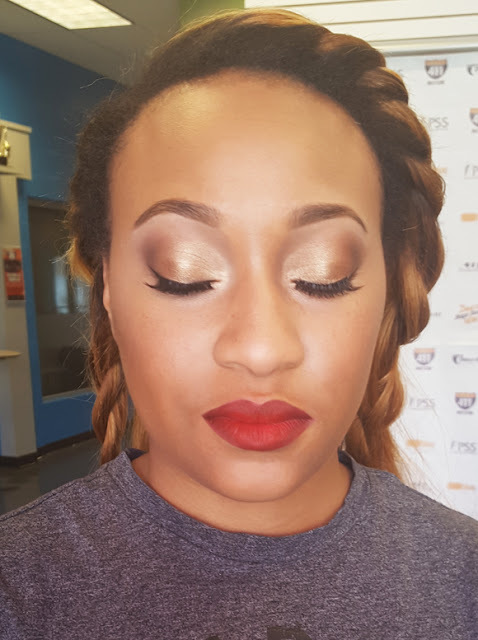 A few weeks ago I had the honor of doing makeup for my pole dance teacher's Engagement Party. 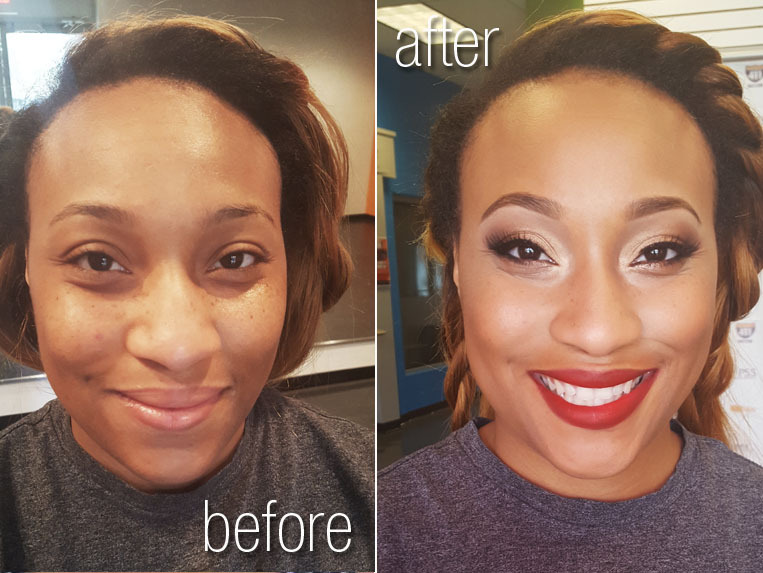 I was excited for this makeover because my client was already naturally gorgeous and also is a fan of makeup which makes my job very easy. Check it out! First off, my client needed her makeup to last in the hot Georgia weather as her party was an outside evening luau. I made sure to prep and prime her as if this was a wedding. This included primers, anti-shine, as well as setting sprays. Fortunately I was able to instagram stalk her and saw that she loved red lips and neutral eyes. On her eyes I chose bronzey tones that gave a good glow and brightened her eyes. I used an old classic - MAC woodwinked on the lid and then smoked it out with matte browns. On her brows I used Tarte EmphasEyes Brow Pencil in Medium Brown which matched perfectly for her lighter hair tone. On her skin, I asked her what kind of coverage she preferred. She likes full coverage but I noticed she also had freckles and asked if she wanted them to show. She said her fiance likes them so I decided to do a compromise - fuller coverage on the contour and cheek area but I kept it light over the freckle region. I used MUFE HD Foundation. I already knew she was a huge fan of red lips and I decided to use Alcone Enduring Lip Color in Cherry Pie - it's been my go-to red for my clients. It's a true classic red color and in the liquid lipstick form which makes it last longer, requiring less touch ups. She later told me her makeup lasted all night and even though she had plenty to drink that night, she never looked it, lol. Now that's proof of good makeup.